In its earliest endorsement ever in a presidential race, a key environmental group backs the Democratic front-runner. Few groups are more savvy and effective when it comes to supporting candidates than the League of Conservation Voters and the LCV Action Fund. For almost 50 years, the league has challenged Republicans and Democrats to step up on a wide range of environmental issues, and it has a long track record of holding politicians to account while intervening to help elect environmental allies. Clinton flew to New Hampshire to accept the LCV endorsement, recognizing the significance it has for Democrats and independents—especially younger voters—who are focused on issues of climate change and sustainability. LCV board chair Carol M. Browner focused on the climate issue in talking up Clinton. The League of Conservation Voters has endorsed in Democratic primary contests before—famously backing then–Massachusetts Senator John Kerry just before the 2004 New Hampshire primary. 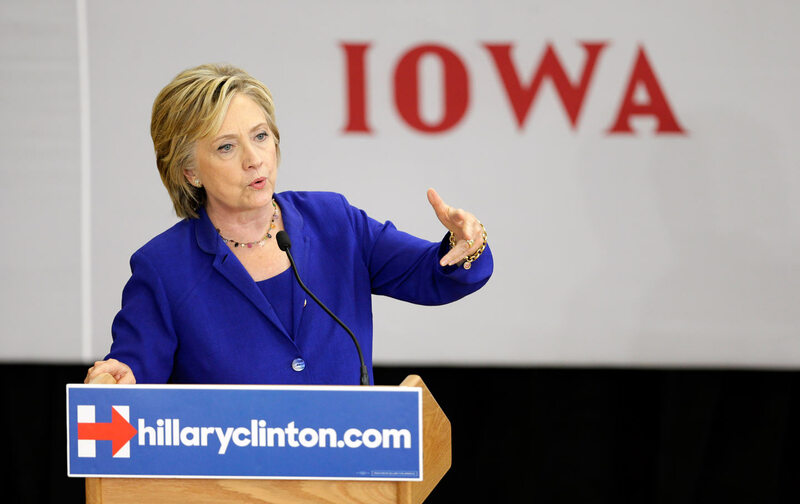 But the endorsement of Hillary Clinton is the first to come before the Iowa caucuses. Still to come is the endorsement decision of the Sierra Club, which has backed Democratic presidential contenders since Walter Mondale in 1984. The Sierra Club has historically waited until after the Democratic nomination race has been settled to make endorsements. For instance, while the LCV backed Kerry in January of 2004, the Sierra Club did not endorse Kerry until May of that year. In 2008, when then-Senator Barack Obama and Hillary Clinton were battling for the Democratic nod, the Sierra Club waited until mid-June to endorse Obama. League of Conservation Voters backs Clinton. Friends of the Earth Action backs Sanders. Still to come: Sierra Club. The LCV waited even longer in 2008, endorsing Obama in July of that year.